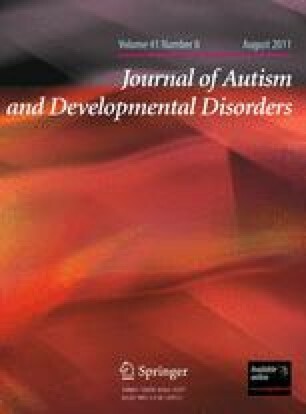 Academic achievement patterns and their relationships with intellectual ability, social abilities, and problem behavior are described in a sample of 30 higher-functioning, 9-year-old children with autism spectrum disorder (ASD). Both social abilities and problem behavior have been found to be predictive of academic achievement in typically developing children but this has not been well studied in children with ASD. Participants were tested for academic achievement and intellectual ability at age 9. Problem behaviors were assessed through parent report and social functioning through teacher report at age 6 and 9. Significant discrepancies between children’s actual academic achievement and their expected achievement based on their intellectual ability were found in 27 of 30 (90%) children. Both lower than expected and higher than expected achievement was observed. Children with improved social skills at age 6 demonstrated higher levels of academic achievement, specifically word reading, at age 9. No relationship was found between children’s level of problem behavior and level of academic achievement. These results suggest that the large majority of higher-functioning children with ASD show discrepancies between actual achievement levels and levels predicted by their intellectual ability. In some cases, children are achieving higher than expected, whereas in others, they are achieving lower than expected. Improved social abilities may contribute to academic achievement. Future studies should further explore factors that can promote strong academic achievement, including studies that examine whether intervention to improve social functioning can support academic achievement in children with ASD. We wish to thank the children and parents who participated in this study. This research was supported by grants from the National Institute of Child Health and Human Development (U19HD34565, P50HD066782, and R01HD-55741) and the National Institute of Mental Health (U54MH066399). U. S. Department of Education. (2007). Table 1.3. Students ages 6 through 21 served under IDEA, Part B, by disability category and state: 2007. Retrieved November 14, 2009, from the Individuals with Disabilities Education Act data Web site: https://www.ideadata.org/TABLES31ST/AR_1-3.htm.